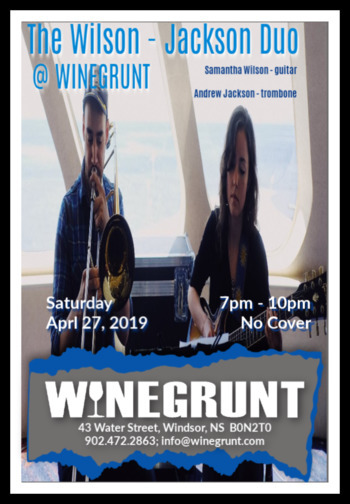 Join guitarist Sam Wilson and trombonist Andrew Jackson for an evening of live jazz as they play duo renditions of classic standards and other popular tunes. 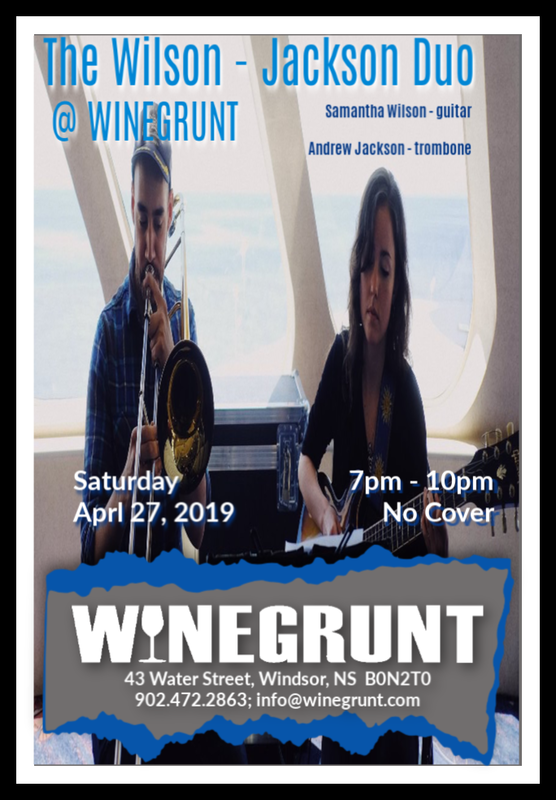 ECMA award winning trombonist Andrew “Ajax” Jackson is one of Halifax’s most in-demand horn players. He performs with in a variety of genres, from jazz with the likes of Jerry Granelli, to pop with groups such as Roxy & TUSS, Lido Pimienta, and Erin Costello. His unique approach offers a sound that can be both fiery and subtle all at once. Sam Wilson is a young guitarist, creative music writer and bandleader, whose style reflects her soft spoken to the point nature. She is set to unveil her first full length album Groundless Apprehensions, a representation of Sam’s old soul attitude, connection to instrumental music, and introspective, contemplative writing style.